Person Or Students Who Are Passed Class 8th 10th 12th And Interested In Apply Online Jobs Recruitment In Zila Hanumangarh District I.e. 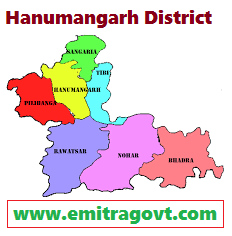 Bhadra, Hanumangarh, Nohar, Pilibanga, Ranwatsar, Sangaria, Tibi Tehsil Wise Vacancies And Other Central Govt. Current Jobs Like Upsc, Ssc, Bank, Army, Air Force, Navy, Railway, Bank Latest Openings Etc. And Rajasthan State Vacancies Like Rpsc, Ras, Rjs, Reet, Raj Swasthya, Rajwater, Rajpanchayat, Rajassembly, Nrhmrajasthan, Rajasthan High Court, Rajasthan Prisons, City Managerrs Association Rajasthan, State Institute Of Health & Family Welfare Etc. May Apply Online Through Emitra Center Near By Person, We Are Providing Here All Emitra Kiosks Centers. 150. Bharat Kumar Joham:- Behind Bus Stand ,hanumangarh Jun. 152. Subhash Chander Swami:- Bhatta Colony Ward No 09 Near Roadways Bus Dipu Hanumangarh Jn. 225. Mandeep Singh:- Police Thana Road Hanumangarh Jun. 298. Rajesh Kumar Gajra:- Shop No.- 3,opp. Jamidara Iran Store Sangria Road-hanumangarh Jn. 312. Simpu:- Shop No-14,karwasra Complex -hanumangarh Jn. 373. Bablesh Baweja:- Ward No-7,old Khunja-hanumangarh Jn.